Not Just a Sunsuit Day 5 – 20 Looks Already! We’re on day five of a ten day tour and can you believe today’s looks are our 19th and 20th already? There is still so much more to come next week so I hope you’ve been enjoying this Paneled Sunsuit tour. Are you convinced yet that there are a billion options included? Well the good news is that it IS also a sunsuit. April from Modern Handmade used the sunsuit version to make her sensitive girl a romper that would fit her needs and it turned out amazing. The gingham seersucker is adorable! 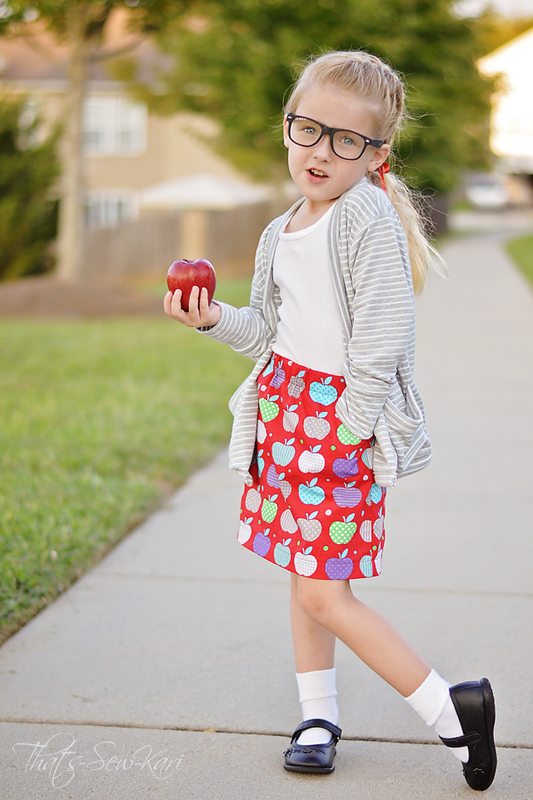 Kari from That’s Sew Kari used the above the knee skirt view to make an adorable skirt for back to school. Check out the pattern matching on the pocket!